As DRC officials weigh whether to use the vaccine, new details are emerging about the outbreak, which so far includes 20 suspected cases and three deaths, including the first, or “index,” case. Most cases are in the Bas-Uélé health zone that borders the Central African Republic. Three teams there are working on identifying suspect cases, educating the communities, and investigating villages where “nonsecure” funerals have taken place. They are also contacting a traditional healer in Nambwa who “received the index case”—a 45-year-old man who first sought help on 22 April—for 6 days. A: Actions are already being undertaken that would shorten the timeline. We know already which vaccine would be shipped. All the documentation is ready. Cold chain equipment to maintain the vaccine at –80°C in Kinshasa is in place, so the vaccine could be stored properly in the capital if it were to be imported. In order to transport the vaccine to the field they could use ARKTEK containers, a technology developed with funding from the [Bill & Melinda] Gates Foundation that uses kerosene packs instead of ice packs to keep the vaccine at very low temperature. They are not available yet in DRC, but WHO has received them from the government of Guinea, which is happy to provide ones they used in the Ebola ring vaccination trial. A: I do agree the clock is ticking. But honestly speaking, I don’t think the time is wasted because everything has been moving in parallel. In terms of operation, time hasn’t been lost because there needs to be a lot of preparation. 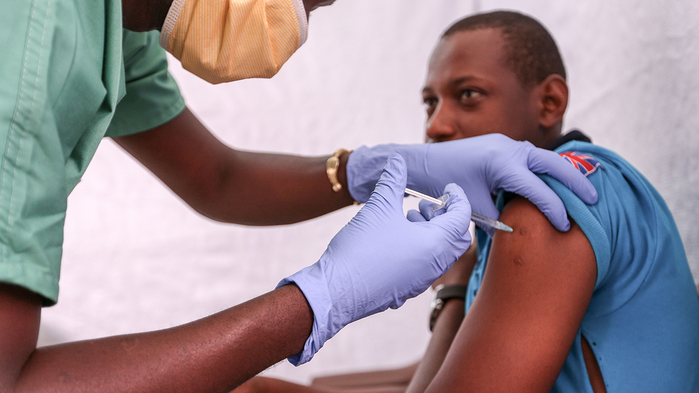 Previous Post Will vaccine help curb new Ebola outbreak in the DRC?